Henry Hoetze, Confederate Propagandist: Selected Writings on Revolution, Recognition, and Race ed. by Lonnie A. Burnett (Univ. of Alabama Press, 2008). According to the publisher: "This work consists of a biographical essay on Hotze; his contributions to Mobile newspapers during his military service in 1861; his correspondence with Confederate officials during his service in London; articles he published in London to influence British and European opinion; and his correspondence with, and published work in support of, [Arthur de] Gobineau." 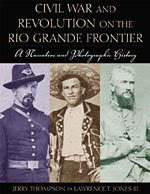 Civil War & Revolution On The Rio Grande Frontier: A Narrative And Photographic History by Jerry D. Thompson and Lawrence T. Jones III (Texas State Historical Association, 2004). 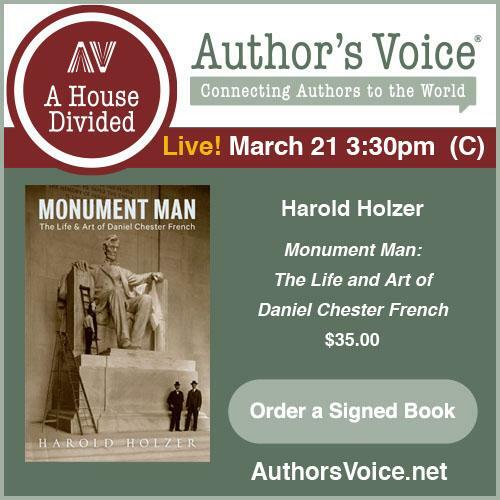 Winner of several book honors, including the Pate Award. It covers a decade of Civil War and border violence (1861-1870), and features the photography (125+ images - most previously unpublished) of Louis de Planque and others. From the publisher: "these images include everything from the destruction following the killer hurricane of 1867 to gripping views of the heart-wrenching hanging of an American army deserter and three unfortunate followers of Cortina, who happened to get caught on the wrong side of the river. Also included are rare scenes of Brownsville, Matamoros, and vice-ridden Bagdad, as well as Juaristas, Imperialistas, Cortinistas, Confederates, Federals, Unionists, cotton traders, journalists, merchants, socialites, de Planque himself, and more than one bandit." War Diaries: The 1861 Kanawha Valley Campaigns by David L. Phillips (Gauley Mount Press, 1990). This is a history of the Kanawha campaign witnessed through the eyes of Confederate Col. Christopher Tompkins (22nd Va), his wife Ellen, subordinate Maj. Isaac Smith, and Union general Jacob Cox. It makes some sense, but unusual nonetheless. The Swamp Fox and the Columbine by John Koblas (North Star Press of St. Cloud, 2004). I wasn't terribly impressed with Koblas's other Civil War book about J.J. Dickison, but am determined to give him another try as I am interested in learning more about the operations along the St. John's River in Florida. One Blanket and Ten Days Rations: First New Mexico Volunteers in Arizona 1864-1866 by Charles and Jacqueline Meketa (Western National Parks Association, 1980). This book chronicles the efforts of two companies (A and I) to combat Apache raiders. At a list price of $3.50, it's also pleasantly stuck in a time warp. Cox: "The Battle of Massard Prairie: The 1864 Confederate Attacks on Fort Smith, Arkansas"
With his new book The Battle of Massard Prairie, Dale Cox, author of two fine Florida military studies (Marianna and Natural Bridge), informs the inquisitive reader of yet another little known Civil War battle. Located a short distance south of Ft. Smith, the Battle of Massard Prairie was fought on July 27, 1864 between an ad hoc brigade of white and Indian Confederate units and a smaller Union command comprised of four companies of the 6th Kansas Cavalry along with several companies of Arkansas unionists. The result of the brief battle was a complete Confederate victory. On July 31, the Confederates again advanced on Fort Smith, this time from four different directions, compelling the Union defenders to abandon their outposts [Cox labels this attack the Battle of Fort Smith]. Beyond harassing local unionist families and capturing a large cache of supplies, the two attacks served to fix U.S. forces inside the Ft. Smith fortifications, a situation that greatly facilitated the subsequent Confederate victory at Second Cabin Creek*. Estimates of the value of supplies lost by the large Union wagon train at Cabin Creek were upwards of $2 million [a figure of no small exaggeration, in my opinion]. According to Cox's introduction, few primary accounts beyond official reports exist that describe the fighting around Fort Smith. A quick glance through the bibliography confirms the paucity of materials. With this and the author's frank warning in mind, the book is properly viewed as a general overview of events rather than an exhaustive treatment. As such, it is a compelling summary of late war operations in a neglected corner of the Trans-Mississippi theater. Cox supports his account with eight maps. The tactical scale battlefield drawings are fine for the most part, depicting the location of the union camps and the position of each company during the various stages of the fight. However, readers unfamiliar with the area might have benefited from a more detailed operational-scale map of the region around Ft. Smith. Bracketing the battle history, perspective on the role of Fort Smith in the pre- and post- war periods is also provided, along with information about the current state of battlefield preservation in the face of rapid urban expansion [I didn't realize that Fort Smith was the second largest city in the state]. Supplementary materials include transcriptions of newspaper articles describing the Massard Prairie battle, and a casualty list appendix. I applaud Dale Cox's diligent efforts toward shining light on obscure Civil War battles, places, and events. Enthusiasts of the Civil War in Arkansas and the Indian Territory will want a copy of The Battle of Massard Prairie, and those readers and book collectors with a special interest in the war's out of the way corners will be similarly rewarded. Note: Proceeds from this book will support the project to establish a driving tour of the Battle of Cane Hill, Arkansas. * - Steven L. Warren's Brilliant Victory: The Second Civil War Battle of Cabin Creek, Indian Territory, September 19, 1864 is a serviceable account; however, considering what you get for the money, it's difficult to justify the expense. For the budget minded, there is a nice little Cabin Creek article and battle map included in a Journal of the Indian Wars issue [1:3 The Indian Wars' Civil War]. "Success Is All That Was Expected: The South Atlantic Blockading Squadron During the Civil War"
Chief Historian for the U.S. Coast Guard Robert M. Browning's naval histories are recommended reading for those interested in the U.S. Navy's blockade and combined operations along the southern coastline. While I haven't read the award-winning From Cape Charles to Cape Fear: The North Atlantic Blockading Squadron during the Civil War (U. of Alabama Press, 1993 - softcover reissue Fire Ant, 2003), its follow-up, Success Is All That Was Expected: The South Atlantic Blockading Squadron During the Civil War (Potomac Books, 2002), is superb. Browning is thorough in his coverage, detailing both strategic planning and operational history. Logistical difficulties and the never ending struggle for their solution comprise another major component of the study. Major themes are the lack of strategic coordination and interservice cooperation. Through the first two years of the war, Secretary Welles and squadron commander Du Pont never discussed strategy in person. Asst. Secretary Fox served as the go between, and his conniving efforts were almost disastrous as he, in service of his own agenda, directly and indirectly kept vital information from both Welles and Du Pont. I wonder what the upcoming Fox bio [Ari Hoogenboom - Gustavus Vasa Fox of the Union Navy: A Biography ] will say about this. Readers used to the often cordial army-navy cooperation on the western rivers will find no such harmony within the South Atlantic Blockading Squadron. Informative and often fascinating sidebars (e.g. addressing manpower deficiencies, medical care, coaling problems, etc.) are sprinkled throughout the text. Browning brought up a significant point about the Gettysburg campaign that I'd never come across before, specifically that the Confederate incursion led to a month long shutdown of coal transshipment, severely curtailing blockading operations. Maps are fairly plentiful; however, none trace movements and only the most prominent place names are labeled, leaving the reader baffled as to the location of many points described in the text. I don't know if Browning plans to continue his series to include the East and West Gulf Blockading Squadrons. I would certainly look forward to it. 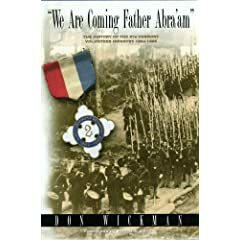 Wickman: ""We Are Coming Father Abra'am": The History of the 9th Vermont Volunteer Infantry, 1862-1865"
The 9th Vermont is not the first unit that comes to mind when contemplating famous Civil War regiments hailing from the state. However, Donald Wickman's story of the 9th's rather unusual wartime journey makes for a refreshing change from the typical eastern theater regimental history dominated by combat service in the Army of the Potomac. The regiment was created out of the second great wave of northern volunteers. It's first foray into the South landed it in the Shendandoah, where it was unfortunate enough to be surrendered soon after at Harper's Ferry. The paroled men were then sent to Camp Douglas, exchanged, and detailed there as camp guards. Traveling back east after six months in Chicago, the regiment found itself assigned to the Suffolk, Virginia garrison, raiding and defending the works against Longstreet's corps in the spring of 1863. After a brief stop at Yorktown, the Vermonters were sent to North Carolina. A transfer back to Virginia in 1864 led to the 9th's involvement in the battles of Chaffin's Bluff and Fair Oaks. Most modern regimental histories devote substantial attention to both social and military facets of a unit's service, but the depth of content from both spheres is often unsatisfactory; one aspect is typically emphasized more than the other. This is not the case with Wickman's well rounded study, which delivers well researched and richly detailed pictures of camp life, political perspectives, home front concerns, and campaign experiences. Wickman's history also brings to light several little known military encounters, such as the February 1864 Battle of Newport Barracks (NC). The material quality and general presentation of "We Are Coming..." is worthy of mention. The book uses heavy grade paper, bound in blue cloth. It's also heavily illustrated, with the inclusion of dozens of page-sized photographs and 20 maps. However, some of the maps, especially the reduced sized archival reproductions, are a bit difficult to read, yet most complement the text in a meaningful manner. More original maps are usually advisable, but these worked okay for the most part. My main complaint is with the copyediting (too many typos). Such flaws aside, I would recommend Donald Wickman's study overall as a well researched and elaborately written history of the 9th Vermont. Those readers (like me) with a general curiosity directed at little-known campaigns and engagements tucked away in obscure corners of Civil War theaters will also find this book of interest. * - There is also a "Special Leather-Bound Limited Edition" (150 copies) priced at $60.00 available. * * * * * * * * * * * * * * * *Also from Schroeder Publishing - Battle of Shepherdstown study [reviewed here]. "Battle: The Nature and Consequences of Civil War Combat"
Like many essay collections, Battle: The Nature and Consequences of Civil War Combat [general editor Kent Gramm, University of Alabama Press, 2008] covers a range of topics with varying degrees of success in terms of compelling analysis and originality. Scott Hartwig begins it all with a John Keegan [Face of Battle]-inspired treatment of Gettysburg. The rest of the chapters are essentially devoted to the aftermath of battlefield carnage. One may differ with his conclusions, but Eric T. Dean penned a thoughtful article that centered around his critique of the standard scholarly works [e.g. Hess, Linderman] that sought to relate how Civil War soldiers dealt with their combat experiences. Neurologist Bruce Evans contributed one of the better chapter length summaries of Civil War medicine that I've come across. Out of place, in my opinion, were the personalized, emotional chapters by Paul Fussell and Alan Nolan (Nolan's recitation of his now trademark anti-"Lost Cause" presentation seemed particularly so). Finishing up the book is a 'numbers' article by general editor Kent Gramm. While not covering terribly new ground, it serves as a reminder of the importance of analyzing the underlying assumptions behind the calculation of various Civil War numerical figures [they tend to get passed on through the ages with little reflection], and also the significance of context when attaching meaning to the numbers. The Maryland Campaign of September 1862: Ezra A. Carman's Definitive Study of the Union and Confederate Armies at Antietam ed. by Joseph Pierro (Routledge - Taylor and Francis Group, 2008). This book's arrival was a pleasant surprise. The Stone's River Campaign: 26 December 1862 - 5 January 1863 by Lanny K. Smith (Author, 2008). The first of a two-volume set. Follow the above link for a brief profile of the book. I also posted some notes earlier [here]. The Union vs. Dr. Mudd (Expanded Edition) by Hal Higdon (Univ. Press of Florida, 2008). This 44-year old history of Mudd's trial and imprisonment has been treated to a paperback reprint sporting a new introduction and conclusion. Battle: The Nature and Consequences of Civil War Combat ed. by Kent Gramm (Univ. of Alabama Press, 2008). See comments here. One Continuous Fight: The Retreat from Gettysburg and the Pursuit of Lee's Army of Northern Virginia, July 4-14, 1863 by Eric J. Wittenberg, J. David Petruzzi, & Michael F. Nugent (Savas Beatie, 2008). A big fan of Brown's Gettysburg retreat book and its satisfying dual military-logistics focus, I'll be interested in seeing what the guys come up with here concentrating on the military front. Eighteen Minutes: The Battle of San Jacinto and the Texas Independence Campaign by Stephen L. Moore (Republic of Texas Press - Rowman & Littlefield, 2004). I don't think I've ever seen a military microhistory quite like this for any battle of the Texas war for independence or U.S.-Mexican War. It's too bad no domestic hardcover edition is available. Keller: "Chancellorsville and the Germans: Nativism, Ethnicity, and Civil War Memory"
It would be difficult to argue against the assertion that the German* contribution to the Union war effort exceeded that of any other ethnic minority group, yet they have not received a corresponding amount of scholarly and popular attention. The language barrier has undoubtedly daunted certain avenues of professional inquiry. Additionally, lingering effects of the "flying dutchmen" calumny stemming from the Chancellorsville disaster, and the two world wars in the 20th century, undoubtedly did little to inspire for the Germans the popular romantic imagery attached to other ethnic soldiers such as the Irish Brigade. A sense of betrayal certainly stayed with the veterans themselves. Decades after the war, their speeches, writings, and monument dedications yielded bitter complaints about past nativist insults. But did the fallout from the Chancellorsville defeat lead the German population of the north to reject assimilation? Historian Christian Keller believes so, and attempts to make his case in Chancellorsville and the Germans: Nativism, Ethnicity, and Civil War Memory. Ultimately convincing or not, it's a provocative thesis and the author presents much evidence in support of it, at least on the community leadership level. It is safe to say that modern historians and students of the Chancellorsville Campaign have long reached the conclusion that the German units of the XI Corps** fought as well as could be expected, considering their faulty alignment and exposure to a powerful flanking attack conducted by a greatly superior enemy force. Keller concurs, supporting his assertion that the Germans performed "reasonably well" [pg. 72] under these circumstances with a detailed, chapter-length recounting of the XI Corps defense of the Union right flank on May 2. The author's regimental-level scrutiny of the attack, written with clarity and supported by some nice maps, is evenhanded with conclusions judiciously drawn. However, the book's greatest contribution to the literature is its deep examination of the reaction of Germans, both on the home front and within the military, to the surprisingly rancorous attacks against German units in the mainstream press and military high command. Prior to Chancellorsville, German units had performed exceptionally well across all theaters, and they were dumbstruck by the degree of vitriol and scapegoating attached to their conduct after a single defeat. From his examination of German-language letters, memoirs, newspaper articles, and journals, Keller is able to provide the clearest picture yet of the German reaction to the upsurge of nativist feeling post-Chancellorsville. He marks the aftermath of the battle as a traumatic turning point in the German immigrant experience. The backlash united the politically and culturally fractious Germans like nothing had before. There were even serious attempts during the war at the creation of a German political party that would exert itself in the 1864 election. According to Keller, the turmoil over Chancellorsville led the German population to delay assimilation. At some level, the author's case is convincing (it certainly appeared to gain traction among many public leaders, intellectuals, and newspaper editors), yet it remains unclear whether the average German-American subscribed to these notions. Perhaps future studies*** will address this point. Another major theme addressed by the book is the common assumption that the war itself was a catalyst for assimilation within ethnic units. Keller refutes this notion as applied to the German units examined by his study. As the war dragged on and German replacements became increasingly scarce, ethnic units were forced to incorporate sizable numbers of native born soldiers into their ranks. However, this did little to promote assimilation. Keller cites evidence that German regiments very actively sought to retain their exclusive ethnic flavor throughout the war, even to the point of blocking the promotion of 'American' officers. Chancellorsville and the Germans is a truly groundbreaking work of research and analysis. By concentrating his efforts on bringing neglected German-language sources to light, Keller has greatly enhanced our understanding of the German experience in the Civil War and beyond. While reasonable minds may differ with the author's willingness to broadly stretch his delayed assimilation thesis, his evidence certainly demands attention. Highly recommended. * - By 'German', the author means German-born immigrants or the U.S.-born sons of German immigrants. ** - the relative numbers fluctuated, but, at the time of the battle, German soldiers comprised slightly less than half of XI Corps strength. *** - speaking of future studies, in the notes Keller mentions that a study of Germans in the Confederacy is in the works, written by Andrea Mehrlaender and promising "splendid analysis". A post on this blog from last year (Germans in the West) briefly discussed books dealing with the German contribution in that theater. Brett Schulte reviewed Keller's book recently on TOCWOC. Read it here. 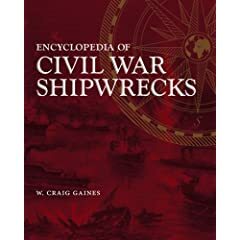 Gaines: "Encyclopedia of Civil War Shipwrecks"
"...a vessel sunk, scuttled, burned, grounded, lost, capsized, missing, blown up, one that collided with another vessel or object and sank, or one that was generally made unusable without salvage and substantial repairs." Taking this broad definition to heart, the author's research uncovered more than 2,000 wrecks [a near complete compilation, in the author's estimation]. Named and unnamed, all are included here in this wonderful marine reference guide. Varying in depth depending on available source information, vessel entries provide insight into design specifications and manner lost. In parentheses next to each name are alternate designations (if they exist). Specifications include ship type, tonnage, crew complement, length, beam, depth, armament, and top speed. If known, builder and date of launch are also stated. The bulk of the text is a description of the circumstances under which the vessel was lost. The amount of information conveyed varies greatly between entries [anywhere from a few sentences up to a couple hundred words], and the more studied subjects often include modern salvage experiences. The usefulness of a reference work is often dependent upon how the information is organized. Here Gaines employs a dual approach. In addition to the traditional index, the shipwreck locations are also categorized in the main text by state, foreign land mass (e.g. China, Brazil, Azores, Bermuda, etc.) or a body of water such as a river, lake, gulf, or ocean. A section comprising shipwrecks of unknown location is also attached. Several maps of areas with particularly dense accumulations of shipping losses (e.g. Virginia and Texas coastlines, Wilmington, Mobile, Charleston, and middle & lower Mississippi River) are provided. These depict selected shipwreck locations in general terms (nothing as specific as GPS coordinates). Naval historians and researchers, archaeologists, recreational divers, and interested readers of all stripe will find Encyclopedia of Civil War Shipwrecks of great value. It should be regarded as an invaluable reference guide for placement in institutional and personal research libraries. Highly recommended. Mr. Gaines is also the author of the well-regarded The Confederate Cherokees: John Drew's Regiment of Mounted Rifles (LSU Press, 1988). "The Uncivil War: Irregular Warfare In The Upper South, 1861-1865"
In an earlier review of Gary Ecelbarger's latest book, I praised University of Oklahoma Press's Campaigns and Commanders Series and mentioned other noteworthy Civil War-related entries. Below is a snapshot summary I wrote several years ago of Robert R. Mackey's study, volume five in the series. Mackey's The Uncivil War: Irregular Warfare In The Upper South, 1861-1865 (Univ. of Oklahoma Press, 2004) is an important book because the author attempts to cast aside the misconceptions in the definitions and portrayal of Civil War irregular operations in modern literature and provide the reader with more useful categories for further study. Mackey clearly and intelligently differentiates between “partisans”, “guerrillas”, and “raiders” and, perhaps more importantly, is able to discuss their actions in the context of the acceptable military practices of their own time period. The book is divided into three separate case studies. The first is a nice introduction to the evolution of guerrilla and anti-guerrilla warfare in northern Arkansas. The section detailing the measures used by the 1st Arkansas Cavalry (US) in dealing with guerrilla attacks is especially informative. Moving on to the next case, John S. Mosby’s Virginia operations and the Federal countermeasures are studied in relation to the author’s definition of partisan (as opposed to guerrilla) warfare. Raiding as a distinct form of irregular combat is covered in the third and last case study. It is discussed in the context of the Forrest and Morgan raids into Tennessee and Kentucky in 1862 and 1863. The book's maps are underwhelming, but the explanatory notes are copious and provide much additional depth and suggestions for further inquiry. An original contribution, The Uncivil War is one of the most useful modern introductions to Civil War irregular operations. Wehner: "The 11th Wisconsin in the Civil War: A Regimental History"
Composed of farm boys from the south central part of the state, the 11th Wisconsin spent the majority of its Civil War term of service in the Mississippi Valley, with additional stops in Texas and Alabama. Its first assignment was guarding rails in Missouri. Soon the unit headed into northeast Arkansas, where the Badgers experienced their first significant combat near the Cache River. After serving in the Vicksburg campaign with Grant's army, the Wisconsin men were once again detailed for garrison and railroad guard duty, this time in SE Louisiana. A brief stint along the Texas barrier islands broke up the monotony before a return to Louisiana. In its final active campaign, the 11th participated in the capture of Mobile, losing heavily in the assault on Ft. Blakely. 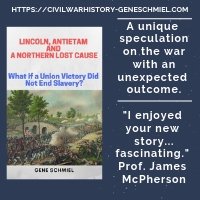 With The 11th Wisconsin in the Civil War, first-time Civil War author Christopher C. Wehner ably chronicles the volunteer infantry unit's wartime career, from initial muster through post-war demobilization. Utilizing a satisfying range of source materials, including an exceptional cache of surviving letters from a number of officers and men, the author was able to piece together a rich picture of army life as experienced by this regiment of westerners. These letters provide not only personal insights into military and home front concerns, but lend continuity to the narrative. Wehner writes well, especially in his battle descriptions, integrating first person accounts into his narrative with both well chosen block quotes and a skillful weaving of short excerpts into the main text. Delving into more obscure corners of the Civil War is one of the book's highlights. For instance, Wehner's research into the fight at Cache River in NE Arkansas led to the formulation of an original interpretation of events, and a rejection of some of the conclusions of previous historians. He also uncovered evidence of significant corruption in the cotton trade amongst officers from General Samuel R. Curtis's command. The volume's content is well presented. Numerous photographs and maps (both original and archival reproductions) were inserted throughout the text, and the book itself is bound in durable green cloth. Additional information can be found in the appendices, to include a unit member occupation table, muster site data, and a detailed roster that will be of use to researchers. 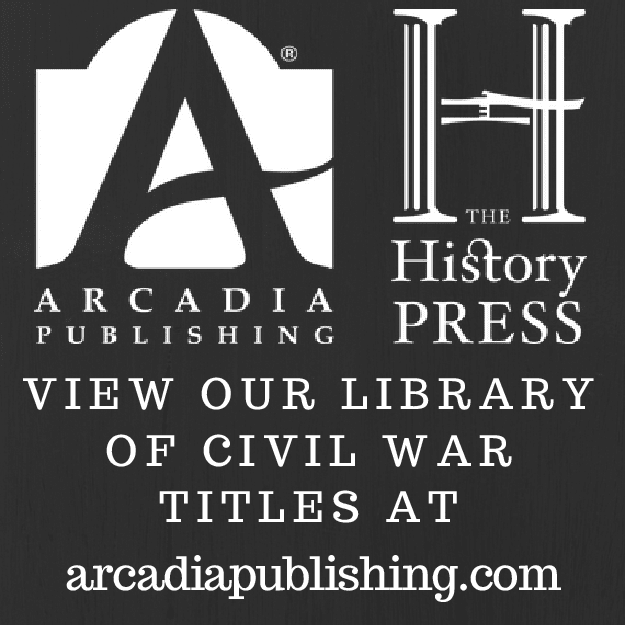 As a first effort or at any level of publishing experience, The 11th Wisconsin in the Civil War is a fine regimental history, thoughtfully constructed and backed by solid research. Histories of units with significant service in the Trans-Mississippi theater remain relatively rare, and Wehner's addressing of this issue adds a further layer of value to his work. Recommended. Ferguson: "Southerners at Rest: Confederate Dead at Hollywood Cemetery"
Not being too familiar with the available literature dealing with Civil War cemeteries, I'll happily defer to Robert E.L. Krick's introduction for the best assessment of the significance of the publication of Chris Ferguson's Southerners at Rest. According to Krick, the author has compiled the most complete and accurate list of Hollywood Cemetery interments to date (almost doubling the number available from earlier research). Incredibly, Ferguson's examination of the first published compilation, a register assembled by the Ladies Hollywood Memorial Association in 1869, uncovered an error of some kind in nearly every entry. He clearly had his work cut out for him on this project, poring through service records, city hospital ledgers, and the genealogical archives of the LDS church and other entities. The author's new corrected and expanded interment list is presented to the reader in a helpful and visually pleasing tabular format. The following information is provided for each alphabetically listed burial entry: name, company/regiment, dates of birth & death, grave section & burial plot designation, and a short comment. The list is also annotated. Ferguson's study is presented in an attractive, user friendly format. A cemetery map is included, along with over 100 photographs, many published for the first time. The table itself, employing alternate shaded entries laterally, was crafted to be visually ergonomic. In terms of ease of use, durability, and style, Southerners at Rest is a first-class publication. The only desirable feature missing is a chapter length narrative history of Hollywood Cemetery to go along with Krick's brief foreword and the author's preface. While its omission does not detract from the value of the book, such background information would have helped new readers better understand the significance of Hollywood. An authoritative compilation, it is clear that Southerners at Rest will be a valuable addition to institutional reference libraries and personal collections alike. Researchers, historians, genealogists, and curious descendants all owe a debt of gratitude to Mr. Ferguson for his meticulous efforts. * * * * * * * * ** - The proprietor of Angle Valley Press, John J. Fox III, was interviewed here in 2006 (see Parts One and Two). Mr Fox also authored the award winning regimental history Red Clay to Richmond: Trail of the 35th Georgia Infantry Regiment C.S.A..
Mr. Ferguson is also the author of Hollywood Cemetery, Her Forgotten Soldiers: Confederate Field Officers at Rest (2001). I recently noticed a History-Sites banner (the owner Jim Martin helpfully provides ads for publications by frequent board contributors) for a Stone's River/Murfreesboro project from Lanny K. Smith titled The Stone's River Campaign: 26 December 1862 - 5 January 1863 [11.25 x 8.75 Blue Cloth Hardcover w/ Gold Lettering, 731 Pages, 46 maps, Self-Published, ISBN: 978-1-56837-407-9 (Vol. 2 will cover the Army of Tennessee)]. Mr. Smith graciously sent me a copy, and my first reaction upon seeing this massive tome and perusing the pages was to be instantly impressed (almost overwhelmed) with the scale of the undertaking. I don't believe I've seen anything quite like it, for any battle. It appears to be an encyclopedic tracing of each unit's role at given time increments, down to regimental scale during the battle period, in the Army of the Cumberland, from the initial advance from Nashville through the end of the Battle of Stone's River. Each page is densely packed with annotated text at a small font size. The hand-drawn regimental scale maps, with troop movements and positions placed upon small scale reproductions of the Michler battlefield terrain map, should allow readers to follow the action closely. My own knowledge of this battle is largely limited to the Cozzens study and the occasional magazine article, but I think it would be safe to say that students of the battle will be seeking this one out. Ordering information can be found by following the link above, but if you'd understandably like to see it for yourself before purchasing it, the author mentioned to me by email that the book will be available this summer at the Stones River National Battlefield park bookstore. It's limited to 330 copies, though, so keep that in mind. I'll be posting my own thoughts about the book. Interested readers can monitor the Upcoming Reviews section of the sidebar, where completed reviews are queued. Phillips: "Missouri's Confederate: Claiborne Fox Jackson and the Creation of Southern Identity in the Border West"
Christopher Phillips's unwillingness to embrace the traditional approach to Civil War biography, first with Nathaniel Lyon and now Claiborne Jackson, marks him as an innovative voice, and an always interesting historian of note. While the psychological profile of Lyon went far beyond the standard expectations of biography, Missouri's Confederate adheres even less to the traditional template. With Jackson, the biographer declares himself uncertain of whether his subject is even deserving of a full biography [in my opinion, an unfounded hesitancy]. Searching for a means to escape from this dilemma, Phillips developed a plan for a dual focus study, part biography part social & political history of Missouri. The end result is the intriguing study Missouri's Confederate: Claiborne Fox Jackson and the Creation of Southern Identity in the Border West. A native Kentuckian, Claiborne Jackson sought an independent beginning in Missouri in 1827. By skill and hard work he established himself as a merchant in the Boon's Lick region along the Missouri River, the area of the state with the highest density of slaves and slave ownership. His heavy involvement in business and banking, not to mention Democratic politics, is indicative of a unique brand of Missouri political society where independent, pro-slavery agrarian ideals were not incompatible with the acceptance and promotion of industry and commerce. While the vast majority of residents hailed from slave states, Phillips develops the notion of Missouri as sectionally independent, a state that identified itself as western rather than northern or southern. According to the author, it wasn't until the swelling northern abolitionist attacks of the 1840s, and the conversion of powerful Democratic senator Thomas Hart Benton to "Free Soilism", that large numbers of Missouri citizens embraced a southern identity. Unfortunately, Phillips does not fully develop his concept of just what this identity meant for Missourians beyond a stiffer defense of slavery and its extension. On the other hand, the author very ably traces the rowdy political conflict over slavery and annexation between "Old Bullion" Benton and Jackson (a relatively minor figure at the time), the result of which was the discrediting of both men and the rise of pro-slavery expansionist David Rice Atchison. Phillips also notes the rise of St. Louis, the rapidly expanding city that became an almost alien presence in the state and a direct threat to the political clout of the Boon's Lick leaders. Politically irrelevant by the early 1850s, Jackson utilized his Sappington family connections to set himself up as a planter/farmer in Saline County, biding his time for a comeback. Although Phillips does not make clear the details of Jackson's transformation from pariah to elected governor, the rise of the Republican party and the Kansas troubles largely snuffed out Free Soil appeal amongst Missourians, breathing renewed political life into the discarded careers of many of the state's prominent conservative Democrats. The author confirms the accepted notion that Jackson, who harbored secessionist views, projected moderate views simply as a means to get elected. Unfortunately, from this point on, Phillips appeared to be in a rush to complete his study. Out of 300+ pages of main text, only a few dozen cover the turbulent period from the firing on Ft. Sumter to Jackson's December 1862 death from cancer and tuberculosis. This will likely be a source of disappointment for those individuals primarily interested in Jackson's actions during the secession winter and the early Civil War period. However, I wouldn't recommend that readers allow the deficiency in wartime coverage to deter them from reading this well balanced and deeply researched political biography. Phillips's overall theme that Missourians considered themselves foremost as conservative westerners situated above the sectional fray (with a southern identity primarily formed in response to northern pressures) is to a large degree persuasive. As a profile of Claiborne Jackson's life and career, certainly no other work approaches the depth of Missouri's Confederate. The book should also be regarded as essential reading for those students interested in learning more about the complexity of border state politics, and the democratic model Missourians hoped to create for the new West.